Most of our Portland-Metro performances are held at The Old Church Concert Hall, located downtown at SW Clay & 11th (1422 SW 11th). Jazz by our house band Tonight’s Special when the doors open at 7 pm with stories starting at 8 pm. Please see below for specific information on shows, dates, locations, and links to tickets. 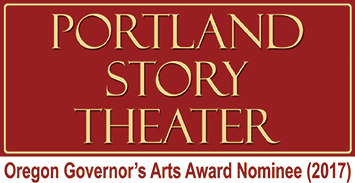 Portland Story Theater’s stories may contain explicit language, assorted escapades of a questionable nature, and various examples of extremely poor judgment, along with profound insights, deep revelations, and moments of truth, triumph, and transformation. Listener Discretion Advised.